Under national team manager Abdel Nasser Barakat, there has been renewed interest in exploring footballing talent outside of Palestine's geographic borders. This had been a hallmark of the team in the early noughties, under a Chilean-Palestinian coach in Nicola Shahwan a slew of South American based talent was unearthed. From 2002 onwards, the likes of Roberto Bishara, Roberto Kettlun, Edgardo Abdala, Pablo Abdala, Francisco Alam, and Leo Zamora all came to play prominent roles within the team. Other lesser known players who contributed during that time include Raul Alejandro Naif, Patricio Mehana, Hernan Cataldo, and Bruno Pesce. After the doomed 2010 World Cup qualifying campaign, the national team program fell into disarray and many of Palestine's best foreign based players were ignored or forgotten about by Ezzat Hamza and Moussa Bezaz for a four year period. It was not until Jamal Mahmoud arrived on the scene did Palestine's foreign contingent rejoin the fold. In addition to the returns of Kettlun, Omar Jarun, and Imad Zatara. Mahmoud and his assistant Abdallah Al-Farra handed debuts to Daniel Kabir Mustafa, Alexis Norambuena, Javier Cohene, and lesser known players like Hani Naboulse and Ali Elkadi. Barakat has continued the aggressive scouting of players based abroad and of the 20 players that debuted under the former Al-Bireh winger- six were born outside of Palestine. The practice of scouting Europe and South America for talent has been implemented at youth level as well. Wadi Degla's Omar Jehad was one of the Olympic Team's best performers during U23 AFC Championship qualification. VFB Lübeck's Abdallah Abou Rashid also contributed ably to the cause. Alaa Habous, since injured in a malicious attack was also part of the squad but could not travel to Palestine to join the squad. At U19 level, Kaiserslautern's Alex Shehada- who had been part of the Olympic level, made his competitive debut for Palestine during the recent qualifiers. 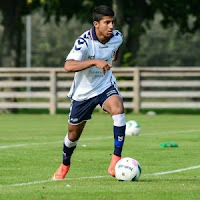 He was joined by FC Copenhagen's U19 captain Ibrahim Samrawi. 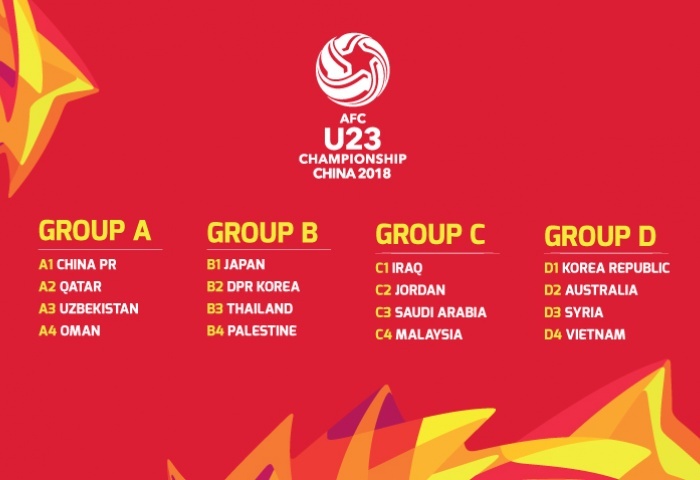 With the finals of the AFC U23 Championship fast approaching, Palestine has uncovered four new players plying their trade in Europe. These four players are currently in Palestine training with the Olympic team with the hope of winning a place in the side. The Berlin born defender has played a total of 608 minutes over eight games in both the cup and league competitions. 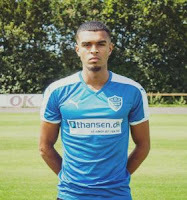 Middelfart are currently top of their regional league halfway through the season and are favorites to achieve promotion to the Danish second tier. With four goals in 13 games for IF Lyseng, Kharoub has scored 25% of his team's goals this season. 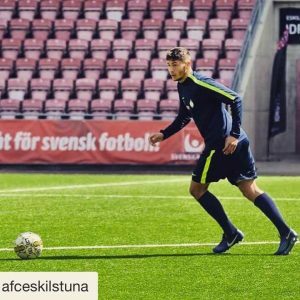 The Malmö born defender was on the books of AFC and debuted for the first team with a seven minute Allsvenskan cameo against Kalmar. In search of more consistent playing time, Termanini dropped down to the Superettan where he joined forces with another player of Palestinian origin- Moustafa Zeidan. The defender totaled 291 minutes in four matches for Syrianska who were eventually relegated. 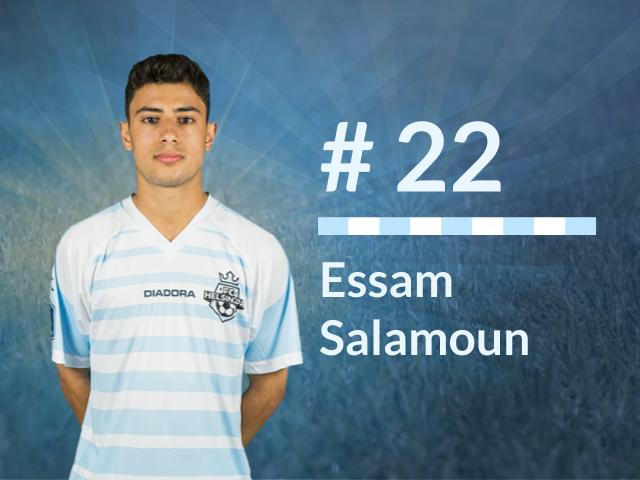 Yet to break into the first team, Salamoun has been toiling away in the reserves and played 60 minutes in the Danish Cup. He is the only player in this contingent on the books of a first tier side.